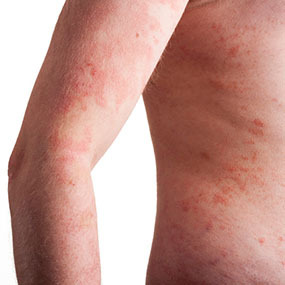 What Are the Inverse Psoriasis sympotms? 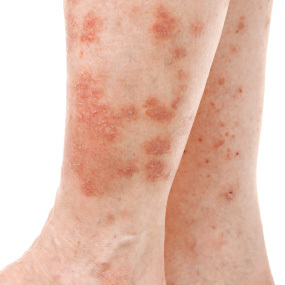 Inverse psoriasis, sometimes referred to as flexural psoriasis, is quite a unique form of psoriasis and even the inverse psoriasis symptoms seem somewhat unique. However, just like all other forms of psoriasis, it affects the skin and targets the areas where the skin folds. When the manifestations occur, shiny red patches can be seen on the skin. 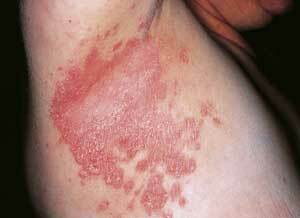 1 What Are the Inverse Psoriasis sympotms? It typically pops up in the areas between the buttock cheeks, beneath the arm pits and under the breasts or the area surrounding the groin. These manifestations are not much different from those seen in plaque psoriasis although they lack the most distinguishing feature the latter has, the formation of scales. Inverse psoriasis is till painful and itchy and because of its manifestation in the groin area or the armpits, one may misdiagnose it as a yeast or fungal infection. Interestingly, when left untreated for a long time, yeast or fungal infections may occur as secondary infections. Even though some in the medical community believe that yeast and fungal infections are related to inverse psoriasis, it hasn’t yet been determined it it’s the yeast infections which trigger the psoriasis or if it’s the irritated and sweaty skin caused by psoriasis that leads to the yeast infections. For complete treatment of the condition, it’s recommended that you treat all the inverse psoriasis symptoms individually. It it’s a yeast infection, it is best to treat it with a yeast infection cream. In contrast to plaque psoriasis, the lesions caused by inverse psoriasis seem to be very confluent, very red and more visibly demarcated. The smooth patches of skin that develop because of psoriasis are itchy and painful at certain times. 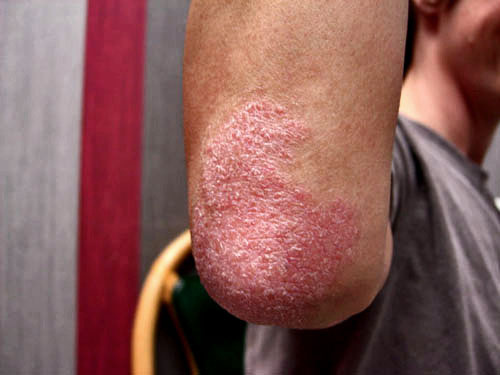 If a patient affected with psoriasis rubs his skin, sometimes this is unintentional; the condition worsens and becomes more aggravated. Flexural psoriasis just like other forms of psoriasis can become extremely stubborn. You should also note there is no absolute cure for the condition out yet. There are also no prescription medications that ensure a complete remission of the condition. Most health practitioners recommend using corticosteroid creams for treatment but they only offer temporary relief. Treating this form of psoriasis isn’t easy and this is especially true since the skin becomes highly sensitive. Ointments and steroid creams are viable options but occlusive dressings only add up the moisture content. Using too much steroid creams only thins your skin and thus stretch marks become more visible later on. This is why prolonged exposure to steroid creams isn’t recommended since it may lead to body-wide side effects. It’s best to go with diluted tropical creams in combination with anti-fungal ointment for treatment. 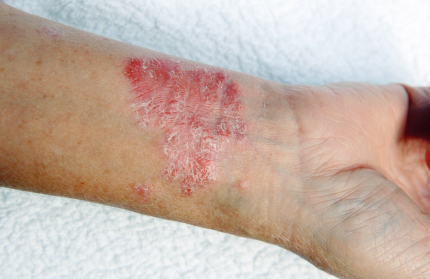 Dovonex or calcipotriene is another treatment that works well in handling inverse psoriasis. However, its application requires extra caution since they may produce an irritating effect on the skin. You must also exercise similar caution when using anthralin cream or coal tar preparations. Any skin irritation will only worsen the condition. Some dermatologists recommend tropical treatments like Elidel and Protopic. All these drugs are FDA approved for the treatment of eczema but they are also used in treating inverse psoriasis. However, avoid long term exposure to these creams since they are also associated with an increased risk of skin cancer, viral infections and lymphoma. In cases of severe inverse psoriasis, doctors may suggest the use of wide body medications for inverse psoriasis symptoms relief. Even though they do work, they aren’t compatible to everyone. Most medications, such as Methotrexate and acitretin work be weakening the body’s immune system and treating psoriasis. These medications are taken orally and your doctor will suggest an appropriate dosage depending on your needs. However, there are side effects with taking these medications. These include; mild nausea, vomiting and some even more serious like liver cirrhosis, acute hepatitis, gastrointestinal ulcers, among others. There are also systematic options available for the treatment of inverse psoriasis which includes the injection of biologics into the patient. Biologics operate by preventing the production of cells that aid in the development of psoriasis. Some of the mild side effects associated with biologics include nausea, headache and irritation at the site of the injection. Serious side effects may include seizures, cancer and sometimes even brain infections. Many powders and creams are available which help in drying the sores caused by inverse psoriasis. Your doctor may recommend a popular treatment known as Castellani’s Paint and you will have to go to a pharmacist to have it mixed. This remedy required the affected person to paint over the affected areas with a brush. The cream also dries the skin where the sores appear. Powders are another effective remedy. Most people use the powder during the day then switch to the paint during the night. You can use herbs as alternative treatments for psoriasis. Oregon grape is a popular natural remedy although it has to be used in combination with a 10% cream. You can also use Aloe Vera on your skin but it too must be accompanied with a 5% cream. Burdock root is known to be effective in reducing the patches caused by psoriasis and even more so when used with cleavers. To enhance the body’s immune system, you can use Echinacea which makes the by less prone to infections thus reducing the possibility of being affected by other forms of infections that may aggravate the inverse psoriasis. Before using any herbal medication, make sure to consult your doctor. Psoriasis mainly develops due to an inefficient immune system and if you only treat the skin lesions then you will be temporarily suppressing the inverse psoriasis symptoms. This leaves the main problem intact and thus leads to frequent re-occurrences. Doctors suggest eating a proper diet and exercising as the best way to treat the root of the problem. An advantage of this is that it doesn’t involve any side effects. You can also use natural tropical creams to provide some relief then rotate your treatment as prescribed by your doctor for a more effective angle.